You Are Here: Home > Buying vs. Leasing a Car: What’s Best for Me? When it’s time to buy a new car, many people in Carson find themselves asking an important question: should I buy or lease a new car? The Kia finance team at Kia of Cerritos is here to help you make the best choice for your situation with this helpful buying vs. financing guide. Get the facts here, and then come to our dealership in Cerritos when you’re ready for a test drive! Drive as Much as You Want: When you finance a car, you don’t have to worry about mileage limits. Make if Your Own: When you own the car, you have the option to customize your interior, get a new paint job, add an aftermarket stereo, or anything else you want. Gain Equity: Each payment you make on your auto loan gets you one month closer to owning your car outright. At that time, you can either say goodbye to monthly payments or use your equity to put down a down payment on a new car. Enjoy Affordable Payments: In general, down payments and monthly payments on a lease are more affordable than financing a new car. Get the Car You Want: Because payments are lower, you’re often able to get a nicer car with more features when you choose to lease. Drive a New Car More Often: Lease terms are usually shorter than financing terms. So if you like to always have cars with the latest features and that new car smell, leasing could be a great option for you. 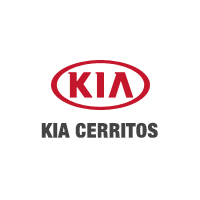 Get a Deal on Your Next Car Near Orange County at Kia of Cerritos! Interested in finding the best deal for your situation? Make your way from Los Angeles to Kia of Cerritos today to talk with our finance experts. But before you do, make sure to take a closer look at our current lineup of new finance and lease specials on models like the Kia Niro SUV. Our dealership is easy to find at 18201 Studebaker Road in Cerritos, CA, and you can reach us at (562) 567-8941 with any questions. What is the Kia Soul Safety Rating?